Posted on October 27, 2017 at 4:37 am. Start carving out your pumpkins because the spookiest day of the year is almost here. It’s one of the best times of the year to indulge in candy and claim huge promotional offers at some of the best online casinos. 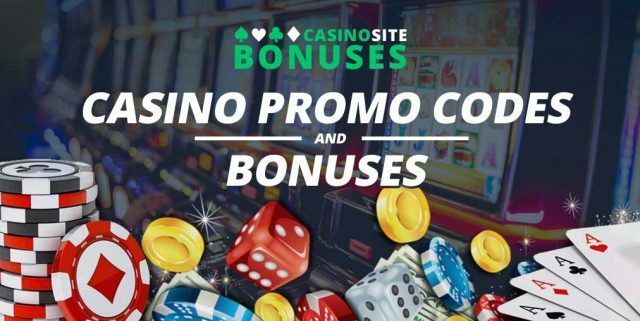 From cash bonuses to wager free spins, and everything in between, we take a look at what spectacularly spooky promo offers you can claim this week. Head to Casino-Mate this Halloween to score $4500 in treats just by putting $30 through BetSoft’s creepy 3D poker machines. The online casino is giving one player the chance to win $1000 in cash – all you have to do is wager $30 on BetSoft’s Blood Eternal, Magic Shoppe, Frankenslots Monster, Dr Jekyll & Mr Hyde, House of Fun, or Under the Bed before October 31 at 11:59 pm UTC (be sure to check your time zone) to earn a ticket into the draw. Then on November 1, one lucky player will win $1000 in the random prize raffle. There’s a fair few terms and conditions attached to Casino Mate’s Halloween Spooktacular, so be sure to read them. Guts online casino is putting on a race this Halloween and giving players the chance to win a share of €6666 in bonus credits and extra spins. To qualify, wager €1 on the selected Halloween games including Guts Exclusive Live Roulette, Halloween, Monster Wheel, Book of Dead, Leprechaun goes to Hell, Blood Suckers 2, Psycho, Dracula, Ghost Pirates, Zombies, Happy Halloween, Ghostbusters, Grim Muerto, Ooh Aah Dracula, Witch Pickings, Planet of the Apes, or Lucky Halloween to earn 15 points. The more points you earn, the higher you will climb on the leader board. The player with the most points at the end of the promotion will receive €666 in bonus money. If you don’t think you’ll take out first place, you can still score up to 666 extra spins every day, simply earn at least 15 points to qualify for the prize draw the following day. The games available may be limited depending on your location, but you can find out more about the Halloween Leader Board Race conditions here. Zombies have made their way into the virtual reality online casino, Slots Million, to deliver free spins and bonus cash to registered players. Up until midnight (CET) on October 31, new players can score 50 free spins when they make a minimum deposit of €20/$20/currency equivalent to use on Zombies by Net Entertainment. Simply enter the bonus code ‘ZOMBIES50’ when making a deposit to qualify. Winners will be notified on November 3. Find out more about Slots Million’s Zombies Million raffle here. Stranger Things Season 2 is back just in time for Halloween, and Thrills online casino wants to celebrate with mysterious bonuses every day. Join the Stranger Thrills promotion by signing up to Thrills online casino and then click on the promotion in the lobby to view what’s in your coffin today, from a range of Super Spins, cash back offers, matched deposit reload bonuses and much more. Each day brings a new treat – players have already claimed a share of 2500 Super Spins (worth 10x as much as a regular free spin) and filled up the Bonus-O-Metre twice as fast for double the loyalty points. There’s so much more to the incredible Stranger Thrills promotion, which you can find out more about here, so be sure to check out what offer you can claim today between binge watching the Netflix series. Rizk online casino has decorated its renowned races to give players a chance to win over €85,000 in prizes. To participate, all you have to do is play the real money casino games offered at Rizk after you have opted in to a race. You can find the list of available races on the promotions page once you’ve signed up to Rizk and logged in. Then play your favourite slots to earn points and climb the leader board. While the races are always running, Rizk has put on special Halloween races from now until October 31. Playing these games will also see your Rizk Power Bar fill up twice as fast which means you will earn a spin of the Wheel of Rizk even sooner, where you can win extra spins or bonus credits. So get racing for your rewards today at Rizk online casino. Want to know more? Find out about the Halloween Rizk races here. If you’re not into the whole Halloween thing, or simply want the chance to win a trip of a lifetime, then head on over to Dunder. The online casino is giving players the chance to win an all-expenses-paid trip to New York during New Years Eve. To win a trip for two to New York, with flights and accommodation paid for, plus dinner at a Michelin star restaurant and €500 in spending money, sign up to Dunder and make a deposit of at least €/£/$20 or 200 NOK/SEK before November 5 to earn a ticket into the draw. To get more entries into the draw, simply make more deposits to use on the range of online casino games Dunder offers. The winner will be chosen by random prize draw so even one entry will count. But if you collect at least 10 tickets, you will receive 25 free spins to use on QuickSpin’s Sakura Fortune, while the top 100 of the leader board for the total ticket count will receive cash prizes, big spins and free spins. Find out more about the Dunder casino New York trip here. Another Halloween-free promotion you can claim is BGO’s Vault Rewards. While it is a loyalty program, it’s worth checking out as it disregards wagering requirements. All you have to do is sign up to BGO and start playing – all real money wagers fill up the Boost Bar. Every time you fill the Boost Bar to the top, you will move to the next level and receive fair spins, which are wager-free. Every time you unlock the fifth level you will trigger the Mega Boost which gives you a tonne of fair spins. If you claim all the bonuses you will qualify for VIP Rewards – find out more about BGO’s high roller program here.